In the nineties of 20th century many changes were carried-out which intervened in all areas of social, political, economic and cultural life in the Central Europe. In Slovakia this exceptional movement began in November 1989 and in a rough draft it meant for the four above-mentioned areas of life a breaking-away from the ideology which hobbled their natural development. The freedom became fundamental value and an indispensable assumption to every interpersonal activity, within the culture it influenced also onto distinctive shifts in a complex of relations which determine character of bookish goings-on. To better identify the signs of these goings-on it is necessary to divide it into three most important components: publishing houses, distribution and book status, within them it can be tied-up onto the relative areas, possibly to penetrate into the more detailed phenomena. The publishing houses functioning was very sensitively interconnected with economic conditions, which were changing in connection with transition of centrally planned economy into the market economy; the quick changes opened in the book culture new problems. Up to 1989 only state and special publishing houses existed (together 34) with edition plans which were approved by state bodies. After 1990 they were gradually transformed into the private publishing houses. At the same time the social changes initiated the origin of a lot of further publishing houses, which were not often lead by specialists, but by businessmen. They utilized a temporarily increased demand for literature which was unavailable from ideological reasons till then with us: the accompanying phenomenon was abandonment of any value criteria at titles choice. After a transient economic success a part of these publishing houses got into troubles and they ceased to exist (the most of them in 1994 – 1995), this part left debts behind in printing works but their activity impacted negatively also on the whole book market. The profits on sales instead of cultivating and financial raising-up of the book market got into other sector. Next and permanently persisting phenomenon was decline in the translation quality, in the language treatment and in level of plastic arts treatment because the publishers often preferred the velocity before quality what was connected also with money-saving reasons after 1995. 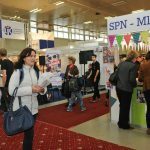 Another aspect in the development of book market is related to the division of the ČSFR and origin of the Slovak Republic (on January 1, 1993). Previously the federal publishing houses were separating from their basis: the Slovak book market was narrowed down. Hereinafter the Slovak readers were reading and buying Czech books (especially the specialized books, the Czech books formed as a lump sum about 30 % of all being sold books in the SR), and the Czech reader reached out for Slovak production only exceptionally. Till 1990 the publishing houses were specialized (they had clearly limited thematic profile) but in 1990 – 1994 all publishing houses published all regardless to choice criteria. The purpose division of labour, also sufficiently cultural competition among publishing houses were not reached, and so the titles with the same subject matter were appearing on the market and the overproduction arose and the decline in sales connected with this and subsequently a fall in turnover capital happened. 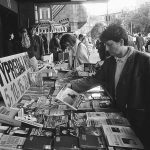 After 1995 the situation on the book market due to above-mentioned changes, as well as due to decline of purchase power of the population and to market saturation by low-quality literature became more complicated. The translation literature many times surpassed the original one although the second half of the nineties meant a partial return to the literary values and the sales of relax literature (loving romantic stories) got into other relations. The PRO SLOVAKIA state fund of culture arose for support of the original creation which structurally changed later. The purpose transfers of the Ministry of Culture of the SR for support of the original creation, of the creation for children and young people as well as of translation creation arose which should secure the publishing of quality artistic literature. Independent commissions decided the contribution allocation and they were approved by Minister of Culture. The publishers criticized this time-consuming system of allocation of these financial means which mostly came only in the second half of calendar year. Decline in the original creation publishing caused a low number of copies and high production cost. In addition to the state support the sponsoring was utilized so that, unfortunately, was not advantageous for sponsors as the book was not an attractive bearer of advertisement and the possibility of tax write-off was not legislatively regulated. The sponsors preferred a direct support of literary competitions which secured the necessary media response for them (Slovak saving bank: Rubato; Eurotel: Short-story; VÚB: Literary award of VÚB; Incheba: Book the year and so on). However, these financial means were insufficient in regard to the fact that the administrative rules did not enable to cumulate them onto the bigger and more long-term publishing projects. So a relatively wide diapason of the Slovak published original literature arose but in regard to the extent of individual titles and to the level of their treatment this publishing production was not able of enlarged reproduction. Not speaking that the economically demanding publishing projects were missing which would form a basis of cultural development. The production of great commercial publishing houses could scarcely react on these needs. 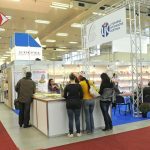 The rise of the Biblioteka International Book Fair was a positive, the first year of which took place after 1993. It served for presentation and sales of brook production in pre-Christmas time attractive for sale. The weakest spot of the publishing activity also in connection with Bibliotéka was promotion and advertising. Although the publishing houses had an intellectual potential, they missed financial capital, in consequence of this the information did not get to all readers and so the time of sale was prolonged. The promotion of publishing houses in the Internet began to appear more distinctively in 1999 and it was not a mass phenomenon because the number of inhabitants with the Internet access was low in comparison with remaining Europe. In 2000 more Internet bookshops appeared, the largest bookshops among them were www.dunaj.sk a www.martinus.sk. The commitment of publisher to hand over 16 compulsory copies free of charge and at his expenses to the libraries resulted from the Law on compulsory copies of periodic publications, nonperiodic publications and audiovisual works. This law met with disapproval of publishers, it was marked for double taxation, it presented a nonproportional financial load of publishers (for example the publishing house that published yearly 130 titles with an average price of 200 Sk bore the expenses of 416 000 Sk in connection with fulfilment of this legal duty and in addition to it also postage fees which amounted about 100 000 Sk – 1 EUR= 30.1260 Sk at this volume of publishing). The handing-over of compulsory copy represented a considerable part of profit in sales for small publishing houses that published cost-intensive publications (pictorial, specialized and representative publications). *Notified titles form a sum of titles which were notified by publishing houses in given calendar year with a note that they want to publish them. +Monitored titles are those that were really published in given calendar year. A lot of factors (publishing house extinction, manuscript delay, retard of publication owing to the financial problems and so on) act on the numerical shift in comparison with the notified titles but important is particularly the time: e.g. title notified in 1989 was published only in 1991. From real numbers of books, which are caught in the column of Number of the monitored titles in the ISBN National agency, it results that in 1989 – 2000 the number of published titles had increased. Number of registered publishing houses moved around 2 300. In this number also the publishing houses of so-called of one man or of one title yearly are included, their acting was very specific because also their production volume was very small and they often contributed into the bookish goings-on by valuable titles with revealing graphic processing and bibliophilies. Approximately 80 % of book production was result of the publishing activity of 80 biggest publishing houses. Three professional publishing associations did exist: Association of Publishers and Booksellers of the SR, Association of Catholic Publishing Houses and Index Association of Small Independent Publishing Houses. After 1989 the centrally controlled book distribution decomposed and its potential got into private distribution firms or it dissolved. The books were sold practically everywhere; particularly the door-to-door selling took up a large space. In consequence of small-scale privatization it came to the extinction of many so-called stony bookshops, especially in town centres. Several distribution companies arose, however, they were not lead by specialists. Some distributions ceased to exist and they owed the publishers big financial means what caused further reduction of turnover capital in publishing houses. After 1995 the situation gradually turned to better although the distributions worked with sale and/or return (40 – 50 % rebate). At the end of the nineties a return of bookshops was recorded into the town centres. Approximately 250 bookshops have been in Slovakia in 2000, part of them held a sideline, for example postcards, paper goods, toys. In regard to the increase in book prices (up to 1990 it amounted in an average of 20,- Sk, in 2000 about 200,- Sk) a well stocked bookshop had to have the books in a value of at least 800 thousands Sk therefore also the booksellers accepted the goods into the commission what prolonged the return of investments to the publishers. Sixteen bigger distributions worked in Slovakia after the extinction of more distribution companies in 2000. 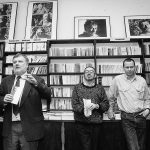 Their assortment was approximately the same, only the Artforum was closely specialized that dedicated itself to sale of literature for demanding readers and at same time it was the largest importer of literature from the Czech Republic. The Slovart G.T.G. distribution company was aimed at the export of our book production and at the import of literature from abroad. In the distribution a tendency asserted itself more and more distinctively that the bookshops did not do the shopping directly from the publishing houses but the preferred supplying by means of big distributions what lead to the distribution overpricing and to the monopolizing tendencies. The mail-order service that was extraordinarily popular up to 1990 and it represented a very high percentage of the book sale share got into background due to increasing fees for transport of postal items/consignments. 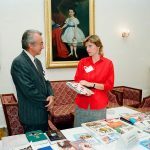 Four large mail-order companies did work: Book Centre in Žilina and three book Clubs: the Club of Young Readers at the Mladé letá publishing house (since 1962) and the Index Media Club (1996). Just high postal fees hinder to their larger market share. The Internet book sale was established slowly in the market but at the end of nineties it was utilized by constantly more customers. 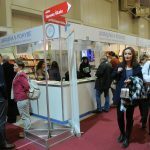 The book selling in the network of supermarkets became a new element in 1999. Two companies: Slovart Store and Belimex became exclusive distributors. Already the first experience showed that the total book sale was increased, and the decline in stony bookshops has not been recorded. Status of book was considerably changed within the cultural activities from 1989 under big influence of various factors. Whereas in 1991 the expenses per inhabitant for culture formed roughly 6.7 % of average wages, they declined under 5 % in 1994, in 2000 they amounted about 3.5 %, in addition to this the nominal book price was increased by 3.5 times in 1990 – 1995, up to 1995 by 5 times and in 2000 even by 6 times. These results show onto an evident negative impact of transient economic period because the innovation of economic structures influenced particularly the purchase power of the middle class of population which invested the most into culture but it is evident from the mentioned numbers that just the middle class has been deprived of book. In this direction especially the libraries fulfilled partially this substituting function and the libraries had a stabile place within the cultural infrastructure but for the sake of an insufficiently sophisticated financial policy they had problems with acquisition. One of the causes of these phenomena was the rise in production costs that resulted from the increase of costs in printing, in the editorial sector and in the field of copyrights. In 1995 it was valid that for one page of book it was paid one crown, from 1998 one page = two Slovak crowns and into the final price also distributors intervened and they required a rebate of about 40 % – 50 % at sale and/or return. The relations of the translation and original literature and also relations of specialized literature to belles-lettres opened further circle of problems. The volume of the being published translation literature was against the original literature 3 up 4 times larger, the quality of translation was considerably fluctuating. After 1989 the share of specialized literature and belles-lettres was distinctively shifted. The commercial literature, respectively a literature without more lasting artistic value, represented a high percentage of translation literature. American and English literature had the highest share above all whereas the representation of the European and out-of- European literature was less distinctive. As for the information on books in periodical print it is necessary to emphasize that up to 1990 a big space was dedicated to book production in periodical print, and after the transition of periodicals into the private hands, the situation changed: that space was markedly smaller, and only in the specialized low-cost periodicals. With a financial state support the “KNIŽNÁ REVUE/Book revue” biweekly magazine was published (and it is published to this day) which dedicated itself exclusively to the new books and questions of publishing houses and book market with particular emphasis onto the original Slovak creation. In Slovakia approximately 3 100 books where published in 2000 from which there were 96 original prosaic works (including reprints) and 76 poetic works. The number of published books including schoolbooks /textbooks amounted among 3100 – 3300. Precise statistics are not available. 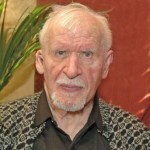 The bestseller of the nineties was the title of „Small prayers” by Milan Rúfus with more than 110 thousands of sold copies.